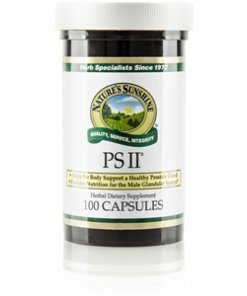 Nature’s Sunshine PS II® nourishes the male glandular system. This blend of pumpkin seeds, saw palmetto fruit, licorice root, black cohosh root, gotu kola aerial parts, capsicum fruit, golden seal root and rhizome, ginger rhizome, dong quai root, lobelia aerial parts, and kelp leaves and stem offers a rich source of nutrients for optimal prostrate health. 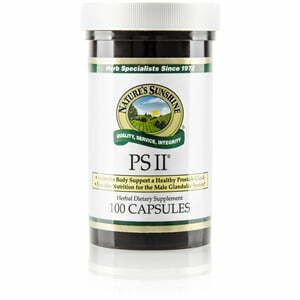 PS II works well when used in conjunction with vitamin A, vitamin C, zink, bee pollen, and saw palmetto.